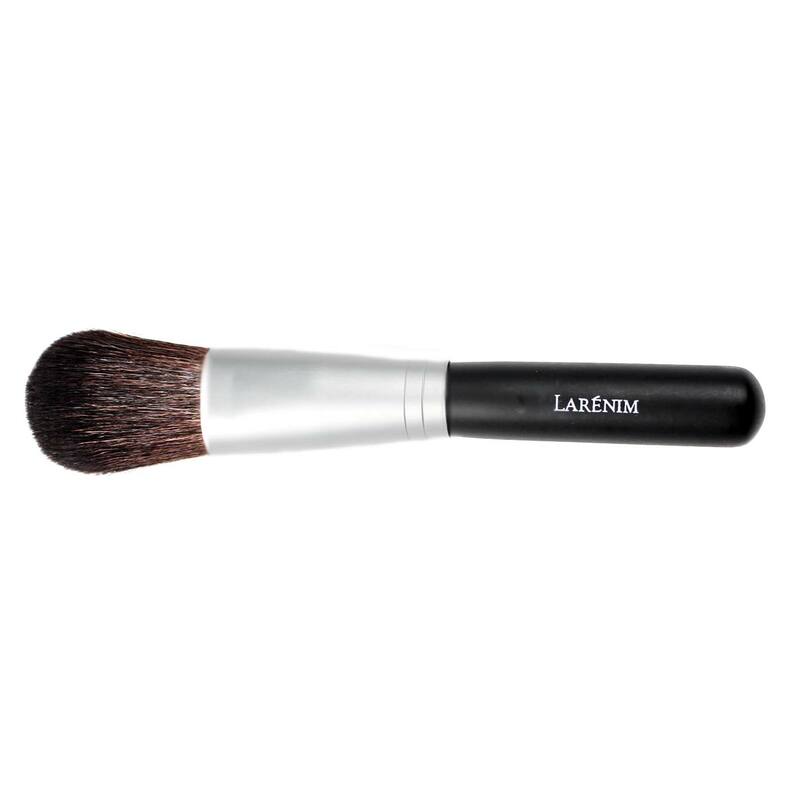 Blonzer Brush from Larenim Mineral Makeup makes applying two of your favorite beauty products -- blush and bronzer -- easy for a flawless face and healthy look. Blush and bronzer finish off your makeup look, but you don't need two separate brushes to get the job done. Use the Larenim Blonzer Brush to apply blush to the apples of the cheeks and bronzer to the forehead, cheekbones, nose and chin for a contoured look and fresh glow. Blonzer Brush from Larenim can help you achieve a radiant, glowing complexion. Try it today for a great price! RECOMMENDED USE: The Blonzer brush is similar to our high quality Kabuki with a shape that is better for cheek and contouring needs. 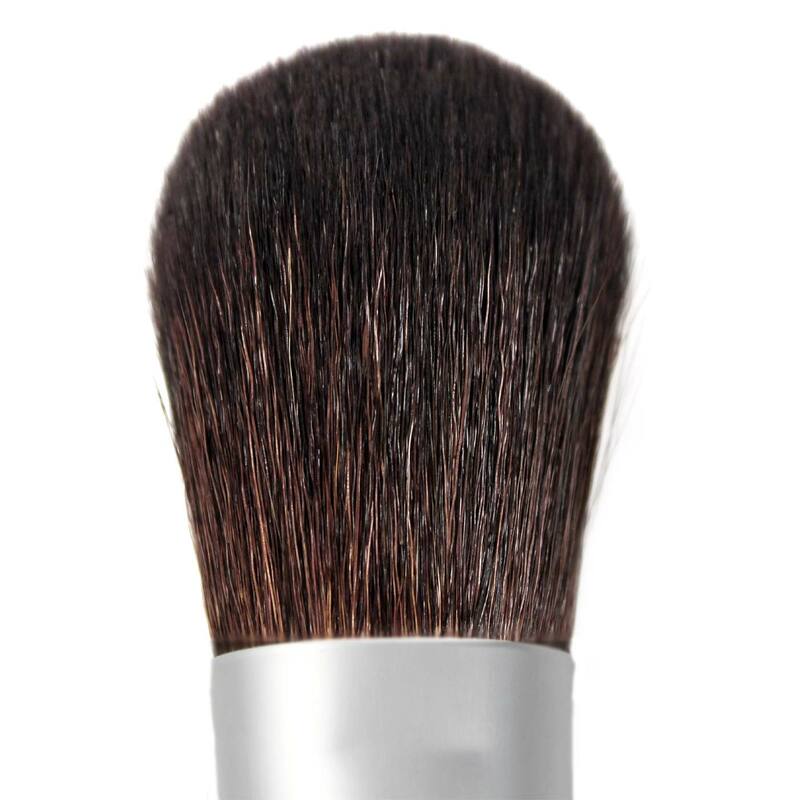 Lightly dip the Blonzer Brush in the powder and tap off any excess. Apply to the cheeks and high points of the face for a healthy, glowing effect. Brushes should last a lifetime if gently cared for. Wash with shampoo and let dry overnight at least every two weeks.